Cupcake bites have become a very popular party treat. These adorable cupcakes are simple to make and will look lovely displayed on your party table in a stand, vase or in a custom made centerpiece. 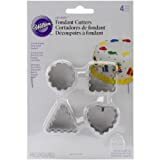 You can also send these cupcake bites home as party favors by wrapping them in FDA approved bags and attaching colorful curling ribbon. There are three fun ways to make these cupcake bites. 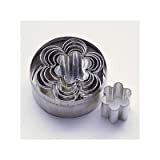 You can use a candy mold, flower cutter or the My Little Cupcake Mold. You have the option of creating these bites on a stick as a cake pop or without a stick. Please visit my Cake Push Up Pops page for more sweet treats that come in small packages! The Cupcake Bites photo tutorial pictured below is courtesy of joyosity. Add the frosting to the cake mix. Fill the mold with melted chocolate. Gently Push the cake ball into the mold. Cake balls removed from the mold. The Cupcake Bites photo tutorial pictured below is courtesy of seelensturm. Form your cake into balls. Mold using a flower cutter. 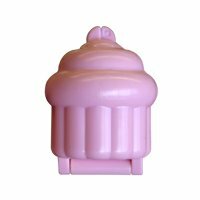 The My Little Cupcake Mold can also be used to create cupcake bites pop. These cupcake bites require no baking. All you need is the mold, a package of oreo cookies, cream cheese, chocolate melts, lollipop sticks and sprinkles. Basically, you grind the oreo cookies in a food processor and then mix the cookie crumbs with cream cheese. 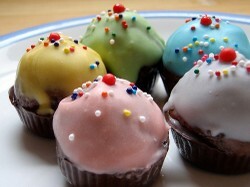 Form your cake balls and then place them into the My Little Cupcake Mold. Close the mold and remove any excess cake. Pop the cupcake bite out of the mold, dip in melted chocolate and insert a lollipop stick. Then, dip the other side of the cupcake in chocolate and add your spinkles and other decorations. These cute brownie cupcakes are a slight twist on the classic cupcake bite. These mini treats have a delicious brownie center. Each brownie cupcake can be topped with your choice of ribbon and customized with a single initial or number. You can also choose between milk or dark chocolate and have the option of having the treat with a stick or without. Brownie cupcakes come individually wrapped in cellophane and tied with an organza bow. Well, it didn't come up in the Pinterest popup window. Pinned another image instead. Now I'm hungry :). Great page! Pinning the cupcake mold. These are so delicious, I tried them, loved them. I have a friend who gave this a go using red velvet cake mix and they were amazing. You could add that to this page, red velvet cake bites very very good, it's all good as you made it so clear and easy adding any flavor. Great idea, going to use your cake bites a lot! These cupcake bites are so sweet. I wouldn't stop at just the one! These look unbelievable! I am with Digby - I have to make cupcakes now..
okay Janet my mouth is beyond watering. I may just have to make cupcakes tonight. Can't do your bites yet because I don't have the mold. I think I'm going to try these at our next library bake sale. Can't write anymore, I need chocolate cupcakes really bad right now!